You will likely discover assets not yet under management that the client can consolidate with your firm – prior employer 401ks, scattered IRAs or investment accounts, or individual stocks or savings bonds that can be cashed in and invested. You will likely find product opportunities – life insurance needs (new policies, 1035 exchanges); annuities that can be cashed in or converted; large cash balances in bank accounts that can be invested with your firm. Your clients’ children or other beneficiaries will appreciate the smooth transition of ownership after their loved one’s death and be inclined to leave the assets with you. Know that you can call our office at any time to ask a funding question; and, in this issue, you’ll learn how to be the hero to two, or even three generations, by helping to ensure your client’s trust is funded properly. What Does it Mean to “Fund a Trust”? Funding a trust is simply the process of transferring assets from the client’s name into the name of her trust. Most beneficiary designations are changed to the trust as well. Planning Tip: Be well versed in your company’s trust funding process so that you can work quickly to help clients transfer their accounts with you into their trusts. We’re happy to walk you through the funding process. If an asset in your client’s individual name is not funded, probate is guaranteed. Planning Tip: Review your client list for accounts that are titled in a client’s individual name or in joint names with their spouse or others. 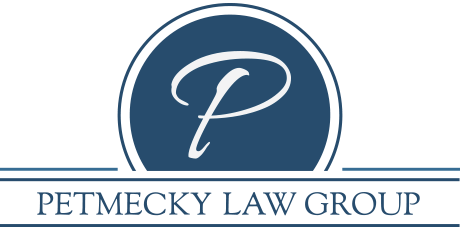 Contact these clients and ask about their estate plan – do they have a revocable living trust? If the answer is yes, offer to contact the client’s attorney to find out if the account(s) should be transferred into the trust. Then, make it happen. This is the perfect time to ask about any other assets. WARNING: It’s essential to coordinate with the client’s estate planning attorney before transferring the client’s accounts into her trust because funding recommendations will vary from client to client and state to state. For example, there may be creditor protection or tax reasons why a client is advised to keep an investment account in joint names with her spouse instead of transferring the account into her trust. For many people, avoiding probate is the main reason they set up a revocable living trust in the first place. Unfortunately many believe that once they sign their trust agreement, they’re done. They’re not. If they fail to fund, probate is guaranteed. TAKE ACTION: During your annual reviews, be sure your clients’ estate plans are properly funded. We’re here to help and are available to answer your trust funding questions; and, please rest assured - we’ll be sure that any clients we share have properly funded trusts.